I am not a quote person. I actually kind of abhor them. Quotes are like statistics, they can say whatever you want them to say, based on what prejudices, hypothesis, and agendas you have when you approach them. Language is fluid. Entire careers are built around the art of semantics. The main quote used on this site, ironically, is from a message given by Spencer W. Kimball in the First Presidency about idolatry. Among other things, it helped persuade me that posting this site and its billboard was not something I could agree with. I have never before put it in these terms, but even before I could vote, I have had a very hard time being interested in or liking politics in the sense that we generally mean the word. People get so caught up in political ideology that they easily forget the humanity of the people who disagree with them. From what I have found, this is generally because they believe so strongly that if only the government were different, everyone could be free to better exercise their agency. They believe anyone opposing them is therefore against freedom. This applies equally to debates about abortion or homosexuality as it does to debates about war or minimalizing government. We feel that people are trying to control us, so we try to control them in turn. I say “control” over “persuade” because when emotions are high, verbal and sometimes physical violence often follows. But I don’t condemn people who are laboring in idolatry. As I have realized while listening to the most recent General Conference, I have also been laboring in idolatry and have much need to repent. My idol has been myself. I have been laboring under the dubious hidden belief that if only I can teach myself enough, I can protect myself and my children from ever having our safety threatened by a man I love again. It is a just fear, but trying to protect myself this way (beyond a certain point, of course,) falls well within the definition of idolatry. The quote about being a warlike people on the site is only one of many examples in a talk intended to show us how we trust in the arm of flesh to protect us. Using it in conjunction with other quotes similarly divorced from their overall context spins it in support of the intention to make individuals rethink their political support. This is a tactic commonly used in political arenas. But I think it sells short the doctrine of the Gospel as outlined in the original message, and as such sells the authors of the movement short as well. I read the words of Spencer W. Kimball and am motivated to purify my life of reliance on the arm of flesh. I am not motivated to try to make other people do the same. Is that not the purpose of comparing our actions and thoughts to the words of the Prophets? They do not speak so that we can hold up a measuring stick to others, but that so we can hold up a measuring stick to ourselves. When we are in a classroom setting, where everyone can interact and ponder AFTER the teacher has invited the Spirit, I can concede that quotes are appropriate and can be useful. But without first inviting the Spirit, they should not be used to teach. Without the Spirit, they become arrows sent to the hearts of those who we feel are sinning or mistaken. This is why I find the billboard inappropriate. If you should not teach even the resurrection of Jesus Christ without first inviting the Spirit as the real teacher, how much less should you teach political ideologies within the framework of the doctrines of the Church without the presence of the Spirit? Even in an online forum, there are ways that the Spirit could have been first invited when inviting others to ponder these things. It could have been done without visually mimicking Church websites, without merely assembling quotes in an attempt to appeal to higher authority to support opinions, but while covering the principles and how they have changed the authors' personal lives. Such a site would have been a testimony, rather than a judgment followed by an attempt to control. I hope that those who read the site will ignore the agenda in which the quotes were assembled, and turn to the Spirit to communicate the true messages of the sources from which the quotes were mined. I intend to apply the principles of refusing idolatry in my life. I hope that it will help me change from a Spirit of fear to a Spirit of power and love. I agree with SR, in both this and the original post. This doesn't seem to be a plea to be more peaceable as it is a stand that if the person does not agree with the billboard and the interpretation of those who put it up and collected the scriptures and quotes, then they must be the opposite - evil warmongers. Many of the comments in the other post seem to follow this same trend. If what you think SR thinks of your view doesn't fit your view, she must be evil. Instead of talking about her post (being the use of the quote in a billboard), commenters jump to "you don't agree with the billboard, so you must like war, you evil person". Disheartening, to say the least. How many times do we have to suffer through people trying to "convert" missionaries (full time or member) by giving a single scripture, or set of scriptures, and telling us that because we don't subscribe to their interpretation, we can't be Christians? What if there was a bilboard giving the quote of a prophet that supported (or even encouraged) war, with a website that gave specific verses of scripture and other prophetic quotes to support it? I agree that the billboard had an agenda,and that they're being disingenuous about their motives. The only thing I don’t agree with, is your decision to censor the post to you blog. When people being up topics like you did, (religion and politics)this is what happens. It seems a little naive of you to think otherwise. 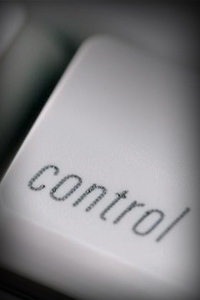 Ironically, by only let the nice comments on your blog, you are being controlling. Censorship: the control of the information and ideas circulated within a society - - has been a hallmark of dictatorships throughout history. Anonymous, I am only moderating particularly nasty comments, and nasty things that have already been said. It would be silly of me to allow people to continue to throw tomatoes at me that have already been thrown. By moderating comments on my blog, I am not censoring in the sense that a government censors, which would be inappropriate and dictatorial. People are free to say anything they like about me in their fora. But I do not have to allow continued filth in my own figurative living room. I am more than happy to allow disagreeing comments which address the topic in a respectful way. But I have learned from a history of abuse that I have no obligation to allow people to treat me the way they have been treating me here, as per my commenting policy at the bottom of the page. "There is a fine line between control and persuasion. " Any attempt to navigate around another person's freedom is an attempt to control them. Manipulation, be it ever so subtle or to whatever good hearted end, is dominion. One of the primary ways we control is in the information we give and the information we withhold. Persuasion must be amenable to all true information. It can't let information be filtered or advanced with any ideological bent. "Pure knowledge", as it says, greatly enlarges the soul. But we do not make an attempt at purer knowledge, because we are afraid if we stop manipulating what that other might do. We conceal, and paint a picture, and take on a facade. Plant a garden, and if you chance to meet a frown, do not let it stay. Defenders of the Faith, I appreciate that you feel passionately about this, and I agree with much of what you said. However, your comment was mocking. If you would like to rephrase it without that tone, please do. But because of the personal nature of this issue, I am not willing to allow such comments from either side, even the side I agree with. Please, let's discuss the issue and the action and not the personal righteousness of the parties involved. I think "how can I make them do what I want them to do?" all the time. SR feel free to delete this my purpose is not to call you out but to understand what you mean. I read your OP three times but it isn't clear to me. Wasn't removing DotF's and labeling it mocking controlling? Isn't calling out the billboard on your blog controling? Did you invite the Spirit before you did? Deleting comments certainly is controlling. But it is controlling my space, not other people's nor the public's. It's partially about boundaries, and partially about hubris, thinking I know more and better than everyone else. It is one thing writing opinions on personal blogs that judge behaviors as appropriate or inappropriate, particularly when explained in context. It is another to judge people as being in active opposition to righteousness, appealing to stripped down excerpts from talks by General Authorities to create a false dichotomy between my arguments and apostasy, and then invading the public space with my judgment while hiding behind benign motivations. Here, my opinion is obviously my opinion. I'm not appealing to prophetic or priesthood authority to validate my opinions. I am referencing their words to explain why I feel the way I do. Nor am I judging the intelligence or ultimate righteousness of those who put up the billboard. I admit that those who disagree with me may be just as, if not more, righteous than I am. My opinions have nothing to do with how ultimately righteous others are. By their own words, their opinions do. As I said, the difference is subtle, but important. I haven't seen the billboard but your well thought out nuanced explaination rings true to me. What about advertising isn't it an attempt to control? Doesn't the billboard communicate in a public forum? How is the billboard different than an ad or a political ad? Because it's advertising using the doctrines of the gospel and words of religious leaders for political purposes. Okay, I'm lost again, why is that a problem? If we're autonomous can't we just choose how to respond to it? Buy the product or not? Accept the billboard's argument or implication or not? Doesn't the church, lds.org, manuals and Sunday school advertise doctrines of the gospel and words of religious leaders as sound bites to us? So apparently you like the sound bites and phrases coming from the church but not from the billboard. How is your posted criticism of the billboard less controlling than the billboard itself? I'm not sure what you mean by this post, but here's what it sounds like so far to me. You have the perception the billboard is trying to control you in a way you don't like so instead you want to control it! Your accusation sounds like projection. Am I wrong? If so please explain. I've explained why it is a problem: mostly because of hubris and a little bit because of venue and content. I'm sorry I still don't get it. Are you referring to the billboard that asks; Why did Spencer W. Kimball say WE ARE A WARLIKE PEOPLE? If so it poses a question and offers to answer it on it's website. The website promotes peace and shows several paragraphs from the talk and provides a link to the FULL talk on lds.org it also quotes President Monson on peace and provides links to many scriptures about peace. This is certainly nicer than many political ads. Where is the hubris? Why is it more controlling than your post criticizing it? I wager to say you "get it" just fine. You just don't agree that it crossed a line. I'm fine with that. But I'm not going to play this "innocent" game of yours by continuing to explain something you understand perfectly well. I'm not an idiot, Howard. Often foolish, but no idiot. Okay Silver Rain have it your way but you have totally misjudged me here. I happen to enjoy your intelligence if I thought you were an idiot or a fool I wouldn't waste my time. Maybe it will go better next time. Have a nice day. Howard, if you can't understand the difference between writing up a blog post or article to share your opinion and putting up a billboard to call people to repentance, I really can't help you. And I'm sorry if I seem impatient with you, but conversations with you tend to run in circles, and I don't want to get into it. I like conversing, I like debate. I don't like repeating myself. I get plenty of that with my kids. Well this one did run in a circle. At the time you wrote your 4/5 12:25pm comment I had not yet seen the billboard. When I did see it I couldn't make your comment fit so I asked you to confirm I had the right billboard and I restated my questions. Honestly I still don't see the fit. Had the talk been taken out of context or closely cropped to create an unintended meaning I might see it differently. Frankly that is what most political ads do but this is very tame by comparison the website simply quotes prophets and scripture. How does one quote a prophet who IS calling his people to repentance without incidentally calling some people to repentance in the process? If the shoe fits... Btw I don't feel called to repentance by this ad. Is there a better way to present these quotes publicly? Are you arguing these quotes should not be used publicly? Btw comparing me to your kids adds an interesting twist to your apology. -lol- I wasn't comparing you to my kids, I was explaining why I have little patience for repeating myself. The quote WAS taken out of context, as I explained in the OP. This isn't just a political ad. It is one that attempts to use the authors' viewpoint on the gospel to make its point. It uses the gospel to manipulate the political viewpoints of fellow saints, all contrary to what the Church itself has done. And yes, I'm saying that mining quotes from religious leaders and scripture to support a political point is manipulative and controlling. It is one thing to use them in forming one's own opinion. It is different to highlight certain ones (and not others) to try to make others change their opinions. I have explained all of this already in the two posts. If you don't agree, that is fine. But I have nothing further to say to explain things to you that I haven't already said. This is my last post in this conversation. I do not agree I think this is a very tame and honest example of free speech in which the those making the statement openly link to the church's official website providing the full church approved text for all to read. The opposition is free to mine and billboard talks by prophets who support being a warlike people. I noticed that you hate being told that you really mean B, when you said A. I find it funny that you often tell people what they are really saying. You have some comment like “I’m not stupid, I know you mean….”. People tend to believe everyone thinks the same way they do. You seem to think everyone is hiding dark hearted intentions. What does that say about yours? Anonymous, I'm glad to lighten your life with laughter. But I hope you can notice that I left room for myself to be wrong, even as I said that I discerned Howard's angle. It says my intentions are to never again be taken advantage of by someone with dark hearted intentions.